© Written by Peter Lindop, updated by Stuart Smith. Picture credits below. On the 13th December 1995, Class 47/4 number 47 584, was named “THE LOCOMOTIVE & CARRIAGE INSTITUTION” at a ceremony held at Bristol Temple Meads Station. The then General Secretary, John Lunn, performed the honours. It was painted in the Rail Express System (RES) red livery. The circular plates were approximately 22” diameter. Following the unveiling, a West of England Centre meeting was held at Bristol Bath Road Depot, with a talk given by Charles Belcher (Managing Director, RES). Members later went to a reception at the local BRSA club. The loco ran all over the country hauling various trains, not just RES, until being withdrawn in April 2000. After this time, it went to Wigan Springs Branch Depot for storage and component recovery. 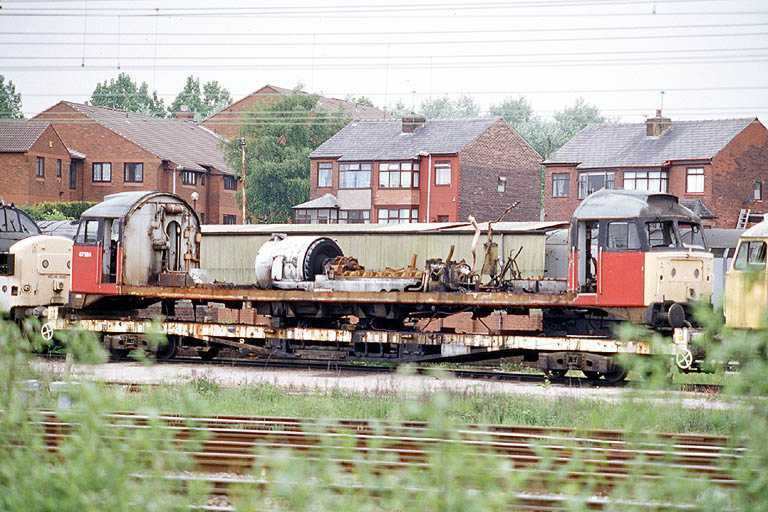 Official disposal is shown in the records as at Booth’s of Rotherham in October 2002, although photographs show the body on a flat wagon at Wigan, with large parts of the sides cut away. The loco was built at the Brush Falcon Works at Loughborough (works number 537) and it entered traffic on 23rd October 1964, carrying the number D1775. Throughout its life, it was really an Eastern Region loco, having been allocated at various times to Immingham, Tinsley and Stratford Depots. These were interspersed with brief periods at Bristol Bath Road and Crewe Diesel Depots. In May 1974 it was renumbered 47180. It was later converted to a Class 47/4 and renumbered 47584 in December 1980. 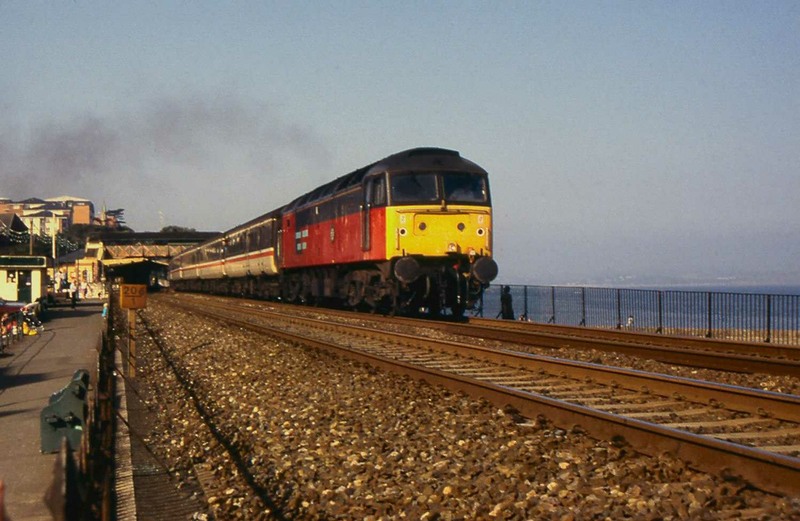 Between May 1979 and October 1993 it carried the “County of Suffolk” nameplates. Before it’s demise, it was officially allocated the number 47735, although it is doubtful it ever received them. Throughout it’s 38-year life, the following liveries were carried by the loco – Dual Green, BR Blue, Intercity (Mainline) and Rail Express Systems. Our nameplates were retained by EWS at the time of disposal for safekeeping. Both have now been sold – does anyone know their current whereabouts? Do you have any photographs of “our” locomotive in service? Please contact Peter Lindop if you have any information. Many thanks for the suppliers of the photos for giving us permission for these to be used on this website and the Institution's Annual Report.